In July 1820, G. W. F. Hegel and his students arrived in Dresden to see some of the city’s art. The year was not an auspicious one for liberal or revolutionary circles. Napoleon’s armies disbanded, Europe’s reactionary powers restored the old order through the Holy Alliance. 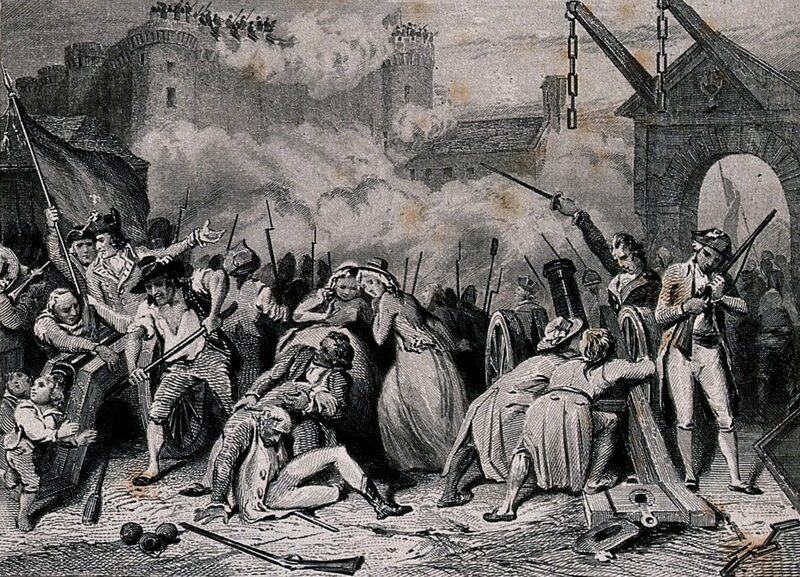 With police spies snooping around, positive sentiments for the French Revolution and the ghosts of progress were seldom exhibited. Such sentiments were forced underground by reaction, and to even speak favorably about the revolution in public or in official circles would be near-lunacy. That’s why in the case of Hegel — someone described as a Prussian-state philosopher — the scene Terry Pinkard describes is remarkable. Needless to say, this toast astonished the students there, among them Eduard Gans, who would later become Marx’s law professor. How could Hegel be so reckless to express such dangerous sympathies at the height of Restoration Europe? Hegel once told his friend Immanuel Niethammer that to be a philosopher was to be an “expositus,” an exposed person. Once the French Revolution rediscovered that Nous, reason, governs the world, Hegel, the philosopher of reason, would inevitably find himself — whether he liked it or not as a Prussian state philosophy professor — allied to those progressive and potentially rebellious forces. The philosophy of absolute reason thus had real political consequences. The French Revolution decisively shaped Hegel’s life and thought. One of the first anecdotes we have from Hegel’s student days at the Tubingen seminary is how he and his student-friends, Holderlin and Schelling, planted a “Liberty Tree” together on July 14, 1793, when the Jacobin terror was at its peak. They danced and sang revolutionary songs around it, anticipating that the new revolutionary dawn would soon come to Germany. It would be an important topic of investigation to see how much of the strict right of property would have to be sacrificed for the sake of a durable form of republic. We have perhaps not done justice to the system of sansculottism in France in seeking the source of its demand for greater equality of property solely in rapacity. There is a great difference between the passivity of military subordination (under a monarchy) and the rage of insurrection; between the order of a general and the flame of enthusiasm which liberty establishes through all the veins of a living being. It is this sacred flame which strained all nerves; it is for this flame, it is to enjoy it, that they exerted themselves. These efforts are enjoyments of liberty, and you wish the people to renounce them. These activities, this endeavor on behalf of the public, this interest is the active principle, and you wish the people to throw itself more into inaction and torpor. After the Reign of Terror and the fall of Robespierre, Hegel took a more somber and often times very critical view of Jacobinism in his later Jena period, right through to the publication of his masterwork, the Phenomenology of Spirit . But it is important to understand how Hegel understood the Jacobins’ role as not entirely retrogressive, but progressive to the development of human freedom, or what Hegel calls the development of human spirit in history. Hegel’s critique of the Terror was more salutary towards the Jacobins than mainstream scholars give credit for. According to some, Hegel took a counterrevolutionary position, almost similar to that of Edmund Burke. Against this reductionist view, we need to revisit the points Hegel’s Jena writings and lectures from 1805–06. Hegel thought that spirit — the activity of human beings becoming conscious of their freedom — had to actualize itself in history. But not all conditions for its actualization are ripe. That is, not all conditions are revolutionary ones. When the matter at hand is ripe, there is an imperative to manifest the interests of spirit as an objective historical fact. Yet the people’s will is not always transparent to itself. In other words, to use Hegel’s language, it may still be trapped in “its immediacy.” The creation of the state thus presupposes the overcoming of this immediacy, and historically it is overcome through war and revolutionary dictatorship. Thus, Hegel justifies in his Jena lectures emergency measures and dictatorship amid the domestic and international threats revolutionary France faced. However, Jacobin tyranny soon becomes superfluous according to Hegel: it loses its attachment to the needs of its time and becomes terroristic in the bad sense, transforming into a terror unhinged from historical necessity. Hegel’s account here is in accord with the speculative logic of the revolution in the Phenomenology of Spirit : that the voluntaristic aspects of the Jacobin regime became a night of suspicion and death. But it would be a mistake to think that Hegel’s criticisms are from the Right. Hegel recognizes the necessity of the moment of “Absolute Freedom and Terror” in the Phenomenology as part of the development of human freedom and it is important to see how Hegel understands the necessity of Robespierre himself. In the defense of a rational tyranny, it is important to notice the emancipatory telos Hegel ascribes to it. Its exercise is meant to be temporary, helping to sustain and protect progressive forces and tendencies. Hence, the stark opposition between dictatorship and freedom dissolves, as the former helps to foster the latter. The Jacobins can be appreciated as an expression of a real historical movement to overcome the irrationality of feudalism. They relied on popular forces for their power, helping to shape those forces in turn. Hegel acknowledged the need for plebian revolutionary methods also in the case of the Gracchi brothers in their struggle against the Roman patricians. And even if Hegel never wrote explicitly on the Haitian revolution, Hegel positively acknowledges the “free and Christian republic” of Haiti, established through a black Jacobin slave revolt. Hegel acknowledges in his last essay on the English Reform Bill that the Jacobin constitution of 1793 was the most democratic document the world had ever seen. But it remained only a piece of paper. Compared with the sublime ideas and rhetoric of the democratic Jacobins, the interests of the revolution had to develop in a more prosaic manner. However, with the advent of Bonapartism, this prose was written in the style of dictatorship and war. Hegel may have criticized the Jacobins for their excesses, and how those excesses grew as a result of their lack of historical efficacy. But at the time he wrote the Phenomenology of Spirit , Hegel was supporting the armies of Bonaparte as they tore through Europe. When Hegel wrote pro-Bonapartist propaganda as a newspaper editor in Bamberg, he was — to use a Leninist expression — a revolutionary defeatist. He wanted his home government to lose and be reshaped by the French. The Phenomenology of Spirit was a post-Jacobin, Bonapartist manifesto heralding the dawn of a new and rational age with the emperor at the forefront. In a letter to Niethammer from 1808, Hegel states that the will of heaven is incarnated in the will of the emperor, since Napoleon was, for Hegel, the only agent available at the time to carry through the ideas of the revolution. In Hegel’s German eyes he was able — at least for some time — to turn Robespierre’s permanent revolution into a permanent war of exporting revolution. In the newspaper Hegel wrote for in Bamberg, he supported that revolutionary export concretely in Bonaparte’s Confederation of the Rhine. After Waterloo, Hegel had to shelve his Bonapartism for the even drier prose of the Prussian state — a state that Hegel criticized either overtly or at more times covertly. But it is important to understand Hegel’s partial justification for Jacobinism in the emphasis he gives to the recognition of historical necessity as an integral part of the odyssey of spirit. This kind of dialectical understanding of Jacobinism: of criticizing the voluntarism of its politics, but also critically appreciating its positive aspects, was further developed by Marx. Friedrich Nietzsche, the philosophical arch-enemy of the French Revolution, or what he called “the last great slave revolt” of humanity, understood Hegel as its philosophical heir. He noticed that there was so much French esprit in Hegel that it was difficult to call him a true German; he unearthed the secret of Hegelian politics as the “egotism of the masses.” For Nietzsche, this philosophical expression of plebianism could only end in revolution and socialism. Today, on Bastille Day, let’s toast Hegel, the philosopher of the French Revolution. For Bastille Day, new Jacobin print and digital subscription are just $17.89.